One of my most vivid childhood memories is of one St. Patrick's Day long ago when I had no idea that wearing green on that revered day was a mandatory tradition. Especially if one attends St. Patrick's Elementary School. Imagine my dismay when arriving at school without so much as a thread of green on! OUCH!!! By the time I arrived home that day, there were not many spots where I had not been pinched. Needless to say, I learned my lesson and to this day I adhere to the tradition of wearing so mething green on March 17th. Why do we associate St. Patrick's Day with green? Is it because St. Patrick is the patron saint of Ireland - the Emerald Isle? Or that the symbol of St. Patrick's day is the shamrock, which is green? My favorite legend states that if you wear green on St. Patrick's Day you are invisible to leprauchans who pinch those they can see. Whatever you choose to believe, you don't want to be caught not wearing any green on March 17th. 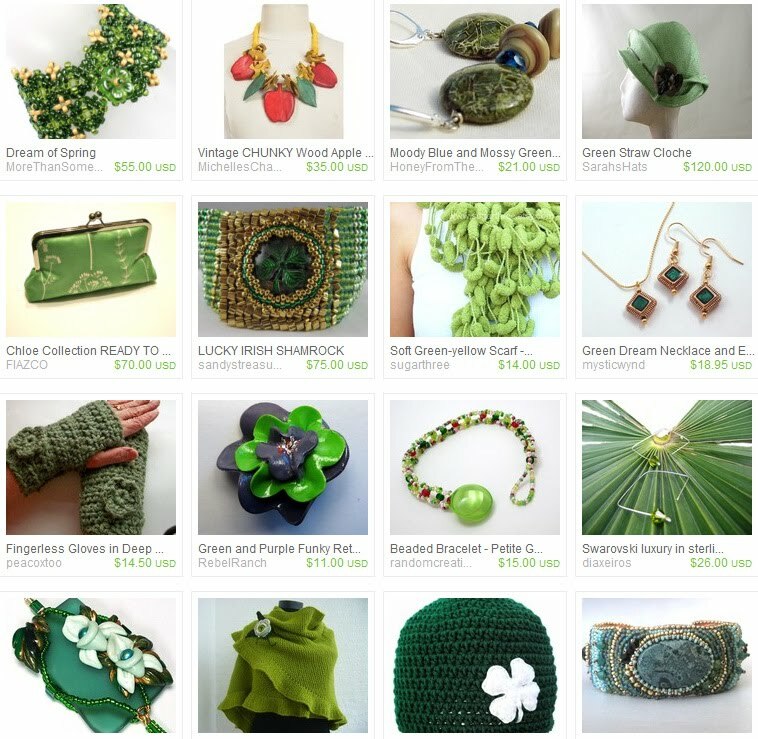 For those of you who need something green to wear, I have assembled this treasury of wonderful green items for your viewing pleasure. 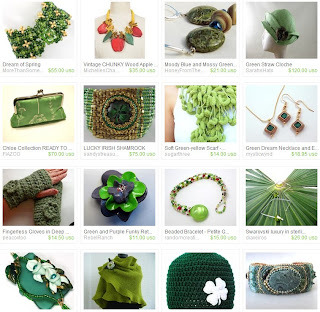 Visit the treasury at: http://www.etsy.com/treasury/4d63150198b26d91cdd8283e.wearin-o-the-green?index=0.